An unplanned pregnancy can be scary. There are undoubtedly a million questions running through your mind. How did this happen? What’s next? Can I afford to keep this child? Is adoption an option? But before you make any decision, it is important to talk through your options. Adoption Makes Family is here to listen, 24 hours a day, 7 days a week. We are a non-profit (501-C3) licensed adoption agency based in Maryland. Our experienced professionals can help and counsel you so that you make the best decisions for your future. We simply want what is best for you and your baby, whatever outcome that may be. 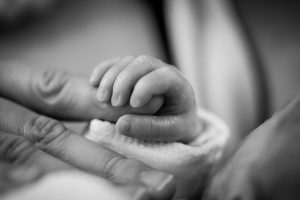 “When a Birth Mother goes to an adoption professional, she is typically in a situation where she will need some financial support for her pregnancy-related expenses, if allowed by state law,” explains the Adoption Network Law Center. The good news is that certain expenses are covered for birth mothers in the state of Maryland. What Adoption Expenses Are Covered in Maryland? ALL medical expenses and hospital costs are covered by adoptive families, as are ALL legal expenses. This law also covers reasonable charge or fee for adoption counseling. Reasonable expenses for transportation for medical care. Reasonable expenses associated with any required court appearance relating to the adoption. Once paid, these expenses are non-refundable, even if the adoption plan falls through. “Often, legal and medical expenses are paid AFTER the revocation period expires to prevent families paying for expenses and losing the opportunity to adopt the baby,” says Dr. Kirschner. Adoption Makes Family is a non-profit (501-C3) licensed adoption agency based in Maryland. The professionals at Adoption Makes Family have many years of experience in adoption services, helping couples and singles explore their options for creating or growing their family. We are able to facilitate financial assistance when assistance is truly needed, and at the same time, protecting the legal rights of the birth mother. “Allowable Adoption Expenses in Maryland.” Jennifer Fairfax, www.jenniferfairfax.com/family-formation-blog/maryland-allowable-adoption-expenses. “Do Mothers Get Paid for Adoption in MD?” American Adoptions — America’s Adoption Agency, www.americanadoptions.com/state_adoption/get-paid-for-adoption-maryland?article_id=4972&sitemedia=full. Fairfax , Jennifer , and Catelyn Slattery . “Allowable Adoption Expenses in Maryland under New Law.” Jennifer Fairfax, www.jenniferfairfax.com/allowable-adoption-expenses-in-maryland-article. Quinn , Colleen Marea . “Birth Mother Expenses: Reimbursement and the Law.” Adoptive Families, 16 Oct. 2017, www.adoptivefamilies.com/how-to-adopt/birth-mother-expenses-failed-adoption/. “What are Birth Mother Expenses?” Adoption Network, www.adoptionnetwork.com/what-are-birth-mother-expenses. This entry was posted on Thursday, December 21st, 2017	at 10:55 am	. You can follow any responses to this entry through the RSS 2.0	feed. Both comments and pings are currently closed.